Bernard Anton was born in Aberdeen, Scotland. His ambition was to have an army career, but his eyesight prevented him from pursuing that objective. He had an extensive library of military, history and chess books. After a career in banking, he took up Law and attained a position of magistrate and was highly regarded for his firm sense of justice by the staff at the Midland Courthouse. He was a long-time member of the Perth Chess Club in the 70’s before joining the Metropolitan Chess Club. His dream of an army career was mirrored in the way he played his chess. Bernard was a man of strong principles, his character reflected generosity and fairness. He was an astute man with a rigorous sense of perfection and this governed his chess and golf pursuits. He admired Bobby Fischer, and perhaps in reverence of him, he chose the Benoni as his favoured defence. Bernard’s sense of fair play led him to be an advocate of the Swiss System for most tournaments, especially club championships. He felt that chess players at all levels should have an opportunity to score against a higher rated player. His legal expertise later led him to be invited onto the Dispute and Protests Board at CAWA. Bernard enjoyed good company, fine food and a “good red”. He was a humble gentleman, and he would have been very proud to have a tournament named in his honour. Born 23/09/35 in London U.K – emigrated to W.A. in 1976. Clubs in the U.K. : County games for Warwickshire. Club games for Birmingham and Sutton Coldfield. Clubs in W.A. : Northern Suburbs, Perth, and , for a short time , Metro. Listening to classical music and videoing my grandchildren, especially 16yr old Sophie who is a highly talented violinist and co-leader of the WA Youth Orchestra. Commenced playing when I was 13, but only dabbled. When I was 30 living in Birmingham I discovered that a neighbour had played 1st Div. Chess for Manchester, so to give him a good game I had to learn something. We met once a week and both pretended we hadn’t studied anything during the previous week, but our wives gave us away. Because of that fortunate encounter I rose from the lowly 7th Div. to the 1st Div in the next few years. Playing World Champion [1957-58] (and opera singer) Vassily Smyslov in a simultaneous exhibition he gave in Birmingham in 1970. I lasted 35 moves which was about twice as long as most of the other participants. (I give the game below.) I decided to attack him and have some fun rather than being crushed under foot like the rest of them. I sacrificed a Bishop for two pawns (have you no shame?!). He then gave up the exchange to beat off my attack, but when he ‘screwed’ a Knight down on d5 (move 20) with a triumphant look, I knew the end was nigh. 14.Rf3. Houdini gives this as a blunder by White and that 14. Bf2 was best. 20. Nd5. Houdini rates this as another blunder by White. So "when he screwed a Knight down on d5 (move 20} with a triumphant look" maybe Smyslov (who publicly disavowed such tactics) was trying to `psych' Curtis? 20. ... Rad8. Best was 20... Bxb2 21. Rb1 Bg7 22. Rxb7 Rab8 and Black is winning, according to Houdini. Which is why 20. Nd5 was a blunder. 32. Rxb7 Re6. Houdini rates White's move as weak, because Black's 32...Rb8 would have almost equalised. The score of this game has been slightly modified so it can be copy-and-pasted into a chess engine. I spoke to Mikhail Tal (name-dropping again) before a simul he was about to give. All he seemed interested in was where he could see a dirty film – perhaps I looked as if I knew ! Equal 1st in the WA State Championship 1982, but unfortunately lost the play-off with Bill Ballantyne so became Reserves Champ that year. For serious games: 1hr for each player. The Art of Attack in Chess by V. Vukovic (you have to be careful how you pronounce that name). Here you’ll find everything you need to know about the ‘Greek gift’ (viz: Bxh7ch, followed by Ng5 and Qh5 with a – hopefully - quick mate). There are other instructive chapters on attacking the king that cannot be castled, the castled king, the fianchettoed and the long-castled king. My 60 Memorable Games by my least favourite person - Bobby Fischer – a wonderful, instructive book, written when he was almost sane. Logical Chess Move-by-Move by Irving Chernev (published 50 yrs ago) is one of the great books written on chess. Explains every move of well-chosen games with great clarity . David Ellis once published a game of mine which I won using the opening David described as “Martin’s beloved Blackmar-Diemer Gambit”. He wasn’t wrong. Mainly Pirc against 1. e4 and the King's Indian against almost anything else. To quote David Ellis again, he said that “Martin is capable of beating anyone –on his day” . I like the “on his day”. It’s like the school report I received for Maths when I was 15 – “Curtis is almost brilliant – at times”. I like the “almost” and the”at times”. The point of the quotes is that I don’t fear any player because “on my day” and “at times” I’m capable of beating anyone. Trouble is , at my age, I seem to have fewer “on my days” and less frequent “at times” . N e v e r underestimate a player because his rating is lower than yours – it can lead to humiliating losses. I talk from bitter experience. A l w a y s play openings you enjoy – that’s what it’s all about. Wolfgang was born on 27 December 1928 in Berlin, Germany. His father was Russian and his mother German. He first learnt chess when he was five years old, by his father. Wolfgang joined the Berlin Chess Club and won the U/12 Championship in 1939. Because of air raids on Berlin, all schools were evacuated to safe country areas or German protectorates. Wolf's school; the German-Russian High school, was moved to the health spa Luhatschowitz, in Czechoslovakia. There he came 1st in the 1943 Bohemian Youth Championship. No more chess was played until after the war. In 1948 and 1949 Wolf obtained 1st place in the romantic "City of Rothenburg". University studies and work as an interpreter for the Australian Mission of the International Refugee Organisation in Schweinfurt left no time for chess. Wolfgang's family immigrated to Australia, arriving at Fremantle on 31 December 1950. He lived for a while in the migrant camp at Northam. In 1951 Wolfgang appeared on the local chess scene and joined the Perth Chess Club. He found a great friend and mentor in Dr Alec Siglin, who was president of the Perth Club and the CAWA for some years. Between 1952 and 1972 Wolf won the WA State Championship 8 times and was runner-up on 7 occasions. He also won the State Lightning Championship 11 times, and the "City of Perth" Championship 10 times. Wolfgang probably holds the record for a local player in a simultaneous event. He played against 38 competitors and finished with a score of 33 wins, 4 draws and one loss. He also played a blindfold competition against 8 players and recorded 5 wins and 3 draws. Wolf's best result in an Australian Championship was 3rd place (wins against J Purdy, G Koshnitsky, Cook and others). In 1964 he established a chess column in the Sunday Times newspaper (for the CAWA) which he ran until 1984. In 1956 Wolfgang became naturalised. He helped to establish, in 1958, the German speaking Rhein Donau Club in which he served as President from 1967 to 1969. Wolfgang married Gisela in 1960, and they had two sons. 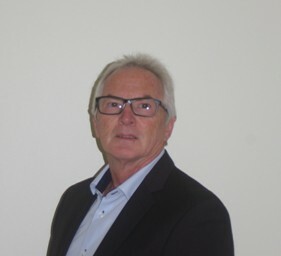 In 1968 he left employment with H. Selby & Co. (a company dealing in scientific apparatus, laboratory chemicals and apparatus and process control equipment) and joined Lufthansa German Airlines as the Manager for WA, opening their Perth office in 1969. He was subsequently promoted to Manager, New Zealand & the Pacific Islands in 1973 and was transferred to Auckland. Naturally, due to work commitments, he hardly had any time to play competitive chess. However Lufthansa, with a worldwide staff of some 55,000 had a very active staff chess club. From 1974 to 1992 Wolf won the biannually held LH World Championship five times. The International Airline Teams World Championships began in Rio de Janeiro in 1977. From the beginning, Wolf played on board 1 for his company. It is interesting to know that he participated in these championships for many years, which were played at many exotic venues such as Bangkok, Madrid, Honolulu, Penang, Tampa, Kathmandu, Las Vegas, Reykjavik, Miami, Lisbon, and twice on board a cruise ship in the Carribean Sea. In NZ Wolf was for many years President of the German Association of New Zealand, the Auckland Goethe Society, and for 17 years President of the NZ German Student Exchange Society, member of the Executive Board of the NZ German Business Association. He also initiated and moderated the "Deutsche Stunde", a German Language broadcast from 1991 until 1999. In 1955 he was awarded the "Federal Cross of Merit" by the President of the Federal Republic of Germany in recognition for his services. Other honours (chess) include Honorary Life Member of the ACF in 1961, the Perth Chess Club in 1973, and the CAWA 2000. After returning to Perth in 1999 and settling in Landsdale, he shared 1st prize in the Yanchep/Two Rocks Tournament, and finished equal second in the 2001 State Championship. Wolf joined the Metropolitan Chess Club and this year came equal first in the Club Championship, and first in the Respini Tournament. a very impressive return to the local chess scene. Wolf is the WA President of the Society for Australian-German Student Exchange, Vice President of the Rhein Donau Club, and Co-moderator of the local "Deutsche Stunde" radio program on 6EBA FM 95.3. He lectures chess at primary school and tutors privately. In addition, Wolf was invited to play for Lufthansa in this year's Airline teams World Championship, which was to be held in Cadun, Mexico, in November but the tournament was cancelled because of the events in USA in September. Wolf's other hobby (besides chess) is music. He plays the saxophone, clarinet and piano-accordion in a Big Band in Germany, and in a smaller band in Perth. Due to an accident he stopped playing the piano, and instead plays the balalaika in a balalaika orchestra in Perth. 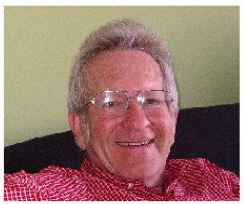 Fred was born in late 1944 and learnt chess when travelling to Newport Grammar School by steam train. In 1966 whilst in the Royal Air Force Fred married Dawn and they had Rob later that year. Fred taught Rob all he knew about chess, so in 1980 he decided to drop Rob at the local chess club in the village of Felsted. The organiser was retired vicar Rev A H (Bill) Franklin, who used his charm to persuade Fred to also stay and play. From then on both Fred and Rob were playing in club tournaments and for Felsted at interclub matches in the North Essex Chess League. They enjoyed the camaraderie with other long-term players: John Bradley, Don Iszatt, Derek Jones, Bill Norman, Eric Page and Ron Vallance. In the late 1980’s Fred became the main tournament organiser and helped relocate the club to the town of Great Dunmow to form the Dunmow Chess Club. Outside of the club Fred also enjoyed playing at the British Chess Championships a couple of times. In 1990 Fred, Dawn and Rob migrated to Perth and settled in at Safety Bay, Fred soon helped organise the Mandurah chess club. A few years later they moved up to the Hills where he acquired many old chess books and magazines from AC Harris. Fred formed a club at Mundaring for a short while and then at Midland. The Midland club that Fred and Rob organised met on a Friday evening, so was conducive to attracting young players who improved well against the strong opposition. The Midland Masters tournament that ran at the club from 1995 to 2005 was often stronger than the WA State Championship. In 2003, by getting 4 FIDE rated players to play (Haydn Baber, Stewart Byrne, Michael Horstmann and Michael Wilkins), they were able to host the first FIDE rated tournament in WA. This enabled six other players to obtain FIDE ratings, including 18 year old Tristan Boyd who was 1st on 7.5/9 well ahead of Haydn Barber 2nd on 6 points. As well as organising club chess each week, Fred spent a lot of time from 1993 to the early 2000’s as CAWA membership officer and ratings officer, plus providing chess equipment with “Chess Supplies of WA”. 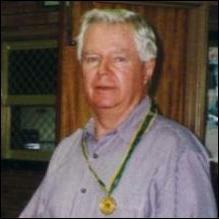 In 2000 Fred was awarded a Australian Sports Medal for his services to WA chess. In 2008 Fred and Dawn retired from work and moved to Joondalup, where Fred joined Rob at Perth Chess Club in Woodvale. In the 2010’s, under his Presidency, Perth Chess Club modernized it’s time controls: instead of fixed time controls for all tournaments, incremental time controls are used in most tournaments. At the same time the club has increased the number of rated tournaments per year from three to five, instead of just one rating division tournament there are now three. This has enabled players to enjoy plenty of closely matched games. Each of these were long games that reached the endgame and showed Fred’s capabilities over the board. Fred prefers long time controls such as those in these events, where you should make less mistakes if you are thinking properly i.e. determined, use your time wisely, plus anticipating and calculating well. Fred’s recent success may also be in part due to preparing an opening repertoire that leads to positions with which he is comfortable and familiar.